In addition to our reliable and knowledgeable customer service specialists, Manchester City Nissan provides Manchester drivers with a wide inventory of new Nissan cars for sale like the new Nissan Rogue and Nissan Murano SUVs, Nissan cars like the Sentra, and new Nissan trucks for sale like the Nissan Frontier as well as commercial vehicles and Nissan vans to help Manchester businesses. Our customer service team can help you find the right Nissan car or Nissan SUV for your needs. We also have a number of used cars and used SUVs for sale if you’re seeking a budget-friendly alternative. Helping Hartford and East Hartford families find the model that best suits their lifestyle and budget is a passion of our sales consultants and Nissan lease and financing experts. You can contact our finance department with concerns you have over: leasing, finance payment scheduling, interest rates and more. No question is too small for our car financing experts. After you’ve selected a new or used Nissan from our showroom our Nissan service center technicians are available to carry out your model’s routine maintenance needs like oil changes, tire rotations, brake pad replacements, and more. Our comprehensive Nissan parts department houses all the genuine Nissan parts that do-it-yourself drivers require when electing to tackle their own automotive DIY repairs. 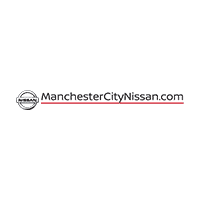 In summary, we at Manchester City Nissan are looking forward to helping you service your Nissan, find the best new model for you, To learn more about the products and services that our team provides, we welcome you to visit our showroom or contact our Manchester City dealership team online. Housed nearby at 30 Tolland Turnpike Manchester, Connecticut we’re happy to continue the conversation and answer any questions you may have about Nissan car financing our about local Manchester restaurants and our favorite pizza places in Manchester.